Scopri tutto su wailing souls, concerti, eventi, news e molto altro! The Wailing Souls (originally The Renegades) are a Jamaican reggae vocal group whose origins date back to the 1960s. 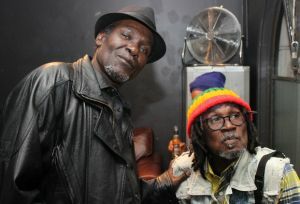 The group has undergone several line-up changes over the years with Winston "Pipe" Matthews and Lloyd "Bread" McDonald the only constant members. They have been nominated for Grammy Awards three times.